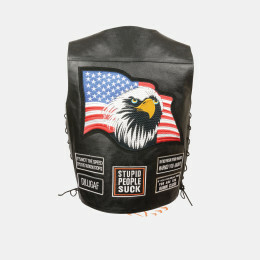 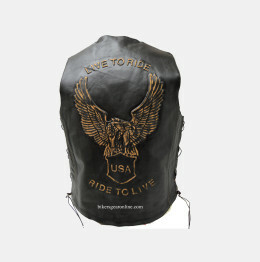 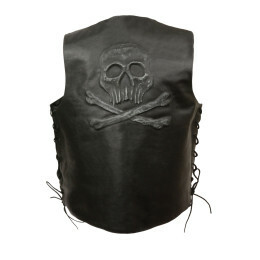 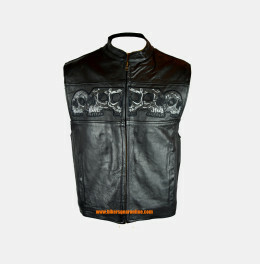 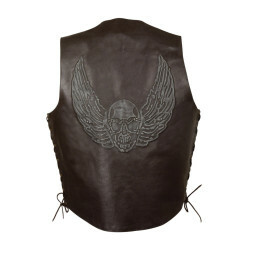 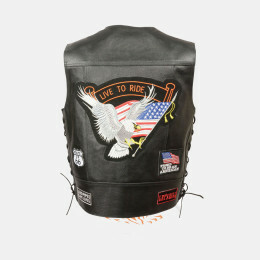 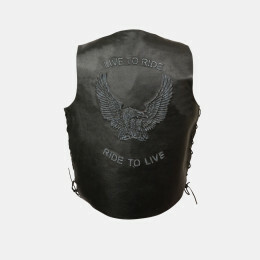 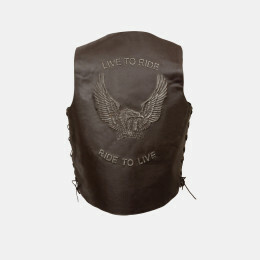 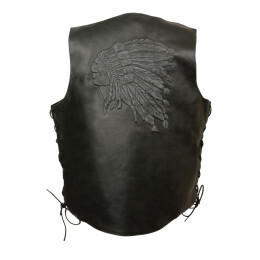 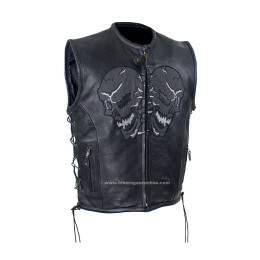 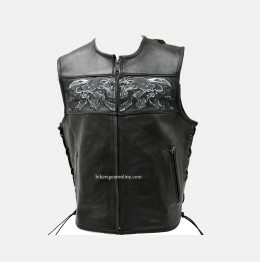 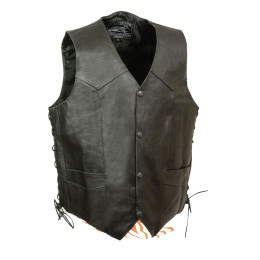 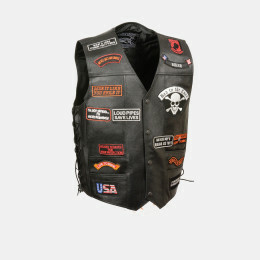 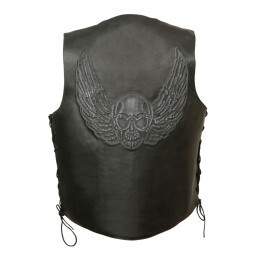 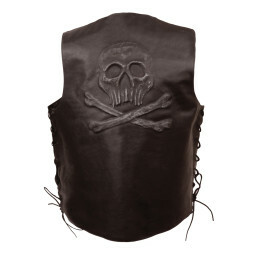 Embossed Leather Vest and Jackets for Motorcycle riders are listed here. 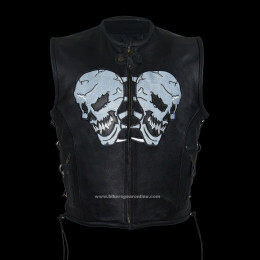 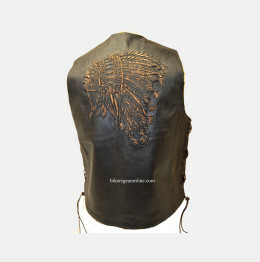 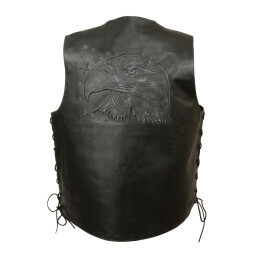 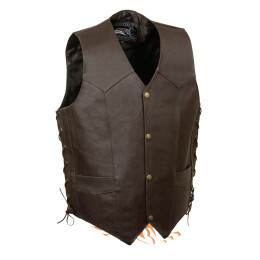 Men’s black and brown Embossed Vests with Eagles, Snakes , Stars and Skulls with laces and Pockets for sale in USA. 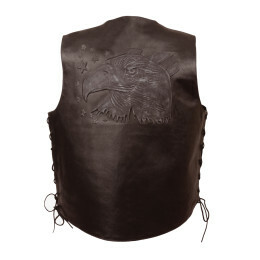 Leather Embossing is art and add style in jackets and vests. 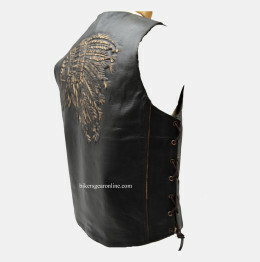 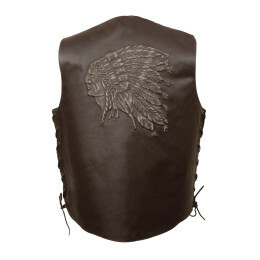 you can find pure leather embroidery or embossed vests collection at cheap prices with free home delivery across USA.